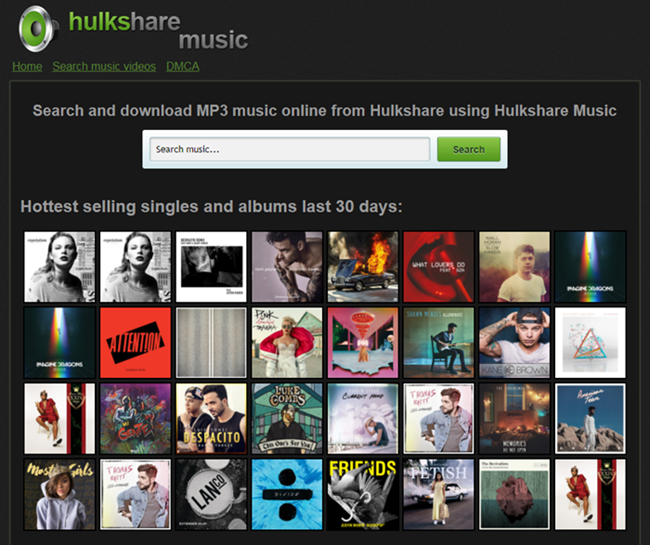 Hulkshare is music search engine that allows you to look and download any song without any limitation. While using Hulkshare, you financial and personal information remains intact. Besides, there is no registration or subscription needed for you to access the site. If you want to enjoy music in your free time, you just get free files from Hulkshare free of cost. The most irritating thing is that the site is full of adverts and once you click the download, ads keep popping up and you may end up downloading malware to your computer. Hulkshare.com is a music search engine designed for the accessibility and comfort of music lovers who can find and download hot songs from the site. 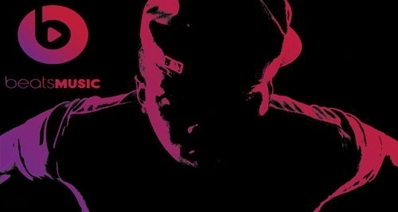 You can quickly browse all music albums, mp3 files, themes, soundtracks, and theme tunes from Hulksharemusic.com. The good thing about Hulkshare music is that it will let you search your favorite song without going through any hard process, you can search, upload and download music files through Hulksharemusic without the tension of your data and security. In case you want to some songs that Hulkshare music does not have, you can invite your friends to come and upload their music to Hulkshare. Artists are also encouraged to share their latest music to Hulksharemusic so that people can get hold of the newest songs without much trouble. Moreover, Hulkshare offers a potential platform for all artists since from this site; they can get the global visibility free of charge. Step 1: Open the website. Using your computer browser, open hulksharemusic.com website to find your favorite songs. Step 2: Search for the song. Once you open the website, the search tab is located at the top of the site. 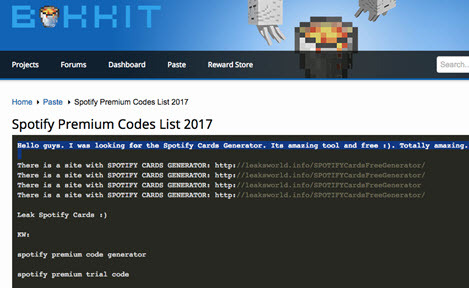 You can search the song that you want to download by typing its name or using some key words and the name of the artist. Alternatively, if you have the link to the song, let’s say from YouTube, copy and paste it on the “Search” space. Then click “Search” to look for the song. Step 3: Choose the song from the results. Hulksharemusic will display all the songs depending on your search name. Click the song you want from the ones listed. Hulkshare will indicate the format of the song for instance if it’s an MP3 it will be indicated. Step 4: Download the song. Once you click on the name of the song and its format, Hulkshare will direct you to a download window. Click the “Download” button to start downloading the song to your computer. iMusic is the best alternative to Hulksharemusic.com. 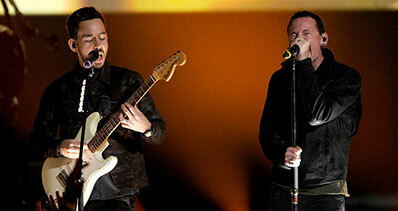 The program lets you download music videos and audios from more than 3000 music streaming sites. Apart from downloading, you can always get music that you like by recording it and saving it to your iTunes library for listening later. You can play music in this application without having to download them, and more so, you can share the downloaded music to other sites in simple clicks. If you want to transfer your music from iTunes to another Android device, then iMusic got you covered. The program acts more like a management toolbox that ensures that you have whatever you need in one place. For instance, you can back up your music, and fix any problem related to the iTunes Music library. With iMusic, you can download any song from more than 3000 sites including YouTube, Vimeo, Dailymotion, Last.FM, Pandora, Vevo, Facebook, Spotify, and many others on your PC/Mac. 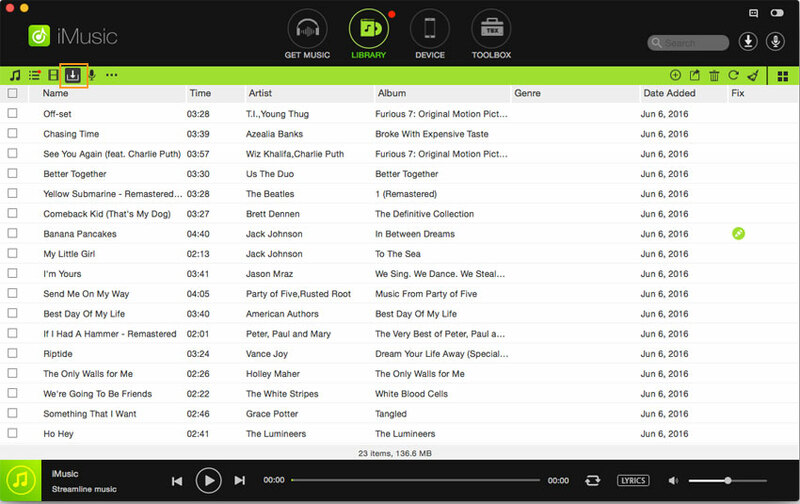 The built-in music library lets you search and play the music by genre, artist, top list, etc. iMusic allows the transfer of music, podcasts, playlists, iTunes U, TV shows, etc. between iPad, iPod, iPhone, and iTunes library freely with no limitation to computer or device authority. Fix the entire iTunes Library. iMusic helps you fix your iTunes library through various options such as; cleaning up the dead/broken tracks on your iTunes Library, fixing mislabelled songs, adding missing covers automatically and removing duplicate tracks. Step 1: Launch iMusic. Once you have downloaded and installed iMusic in your computer, you need to start it and click the “GET MUSIC” tab. Three options will be displayed after that. The options are DISCOVER, DOWNLOAD, and RECORD. Step 2: Here you will have two ways to download music. First, click the “DOWNLOAD” option. Using your browser, open any music streaming site such as YouTube, Spotify, Dailymotion, Vimeo, Metacafe, etc. and search the song that you want to download using iMusic. After finding the song or the music video that you want, copy its URL. 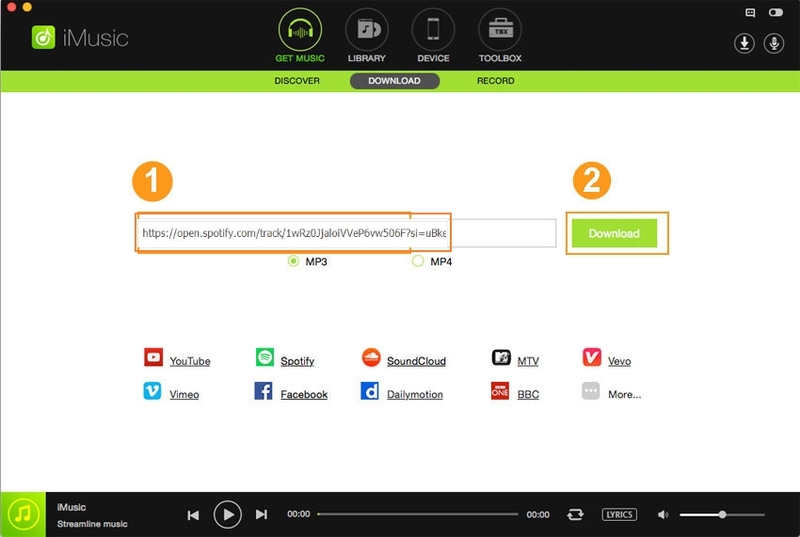 Paste the URL of the song that you want to download in the URL paste box in iMusic. 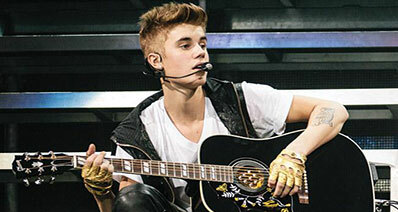 The application will search and display the song for you. Choose the format that you want and then click the “Download” button to begin downloading the song. The other option is to go the "DISCOVER" option. Then type the name of the song and then click the Search icon. Once the music is found, just choose the format and click “Download” to start the download process. After the download is complete, the downloaded music will be saved in your iTunes library. To view the songs on iTunes, click “Library” and then hit the download icon on the left side.